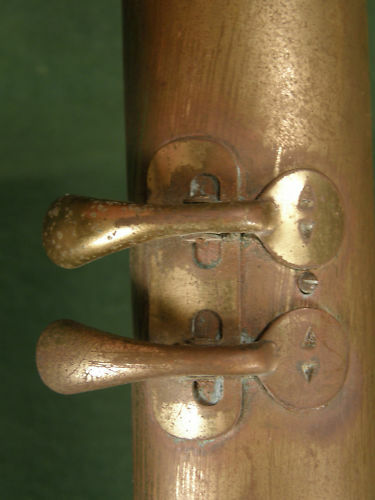 12 keys over recessed holes and there [were] even KEY PADS on the keys. 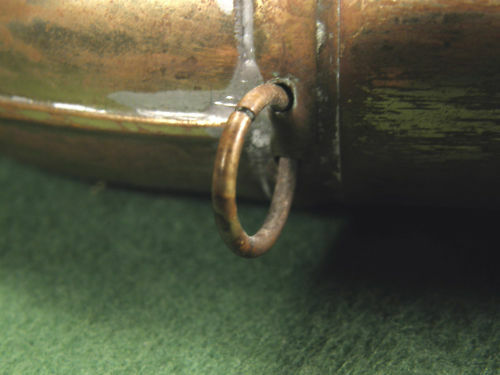 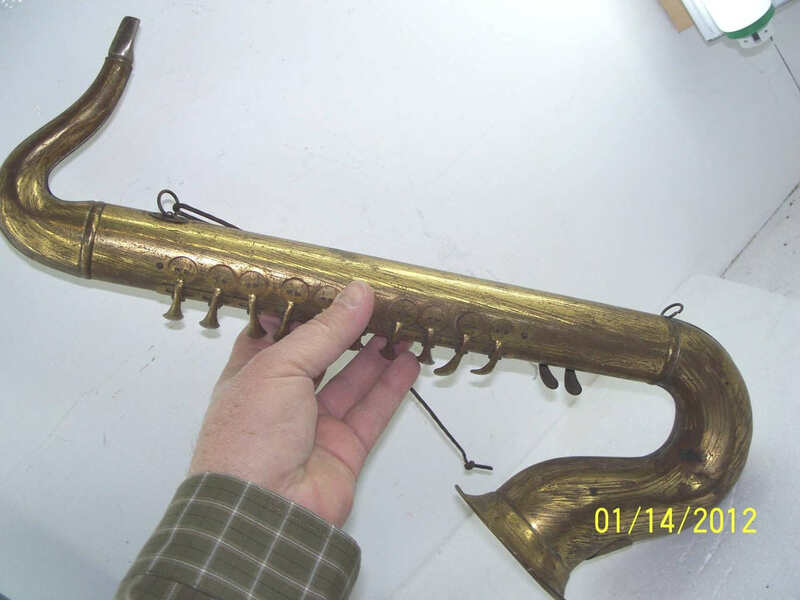 It appears that each hole is equipped with a metal reed placed inside… It measures 17 1/2″ in length and has a 4″ bell. 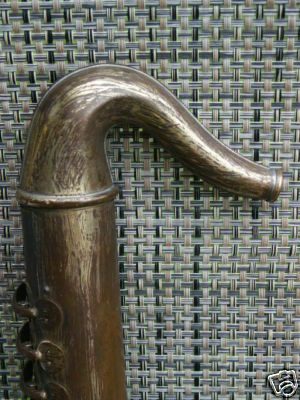 This Saxonette was missing its mouthpiece. 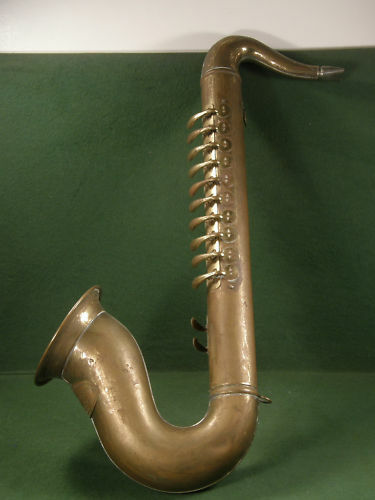 The above Saxonette is the only sax-shaped, blow accordion that I have seen from Hohner that carried this name. 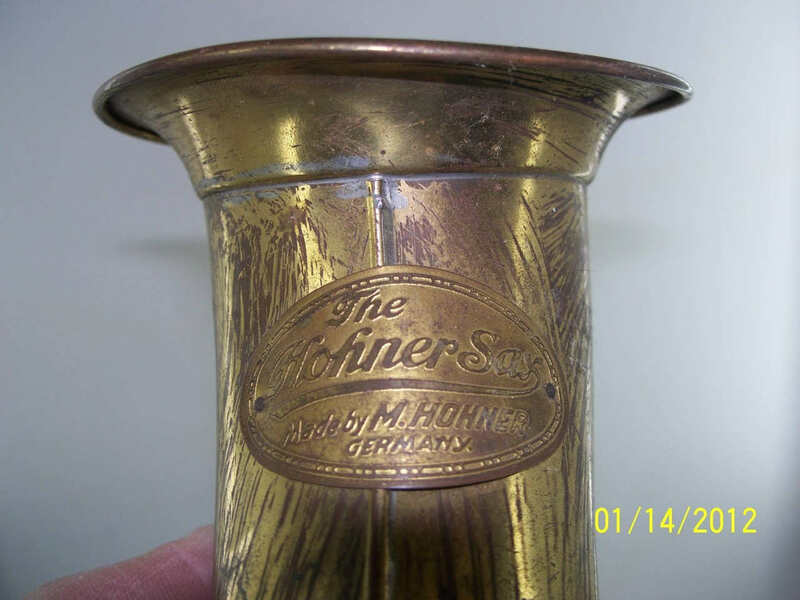 In all the years that have since passed, I have only seen the name, The Hohner Sax, stamped on the name badge. 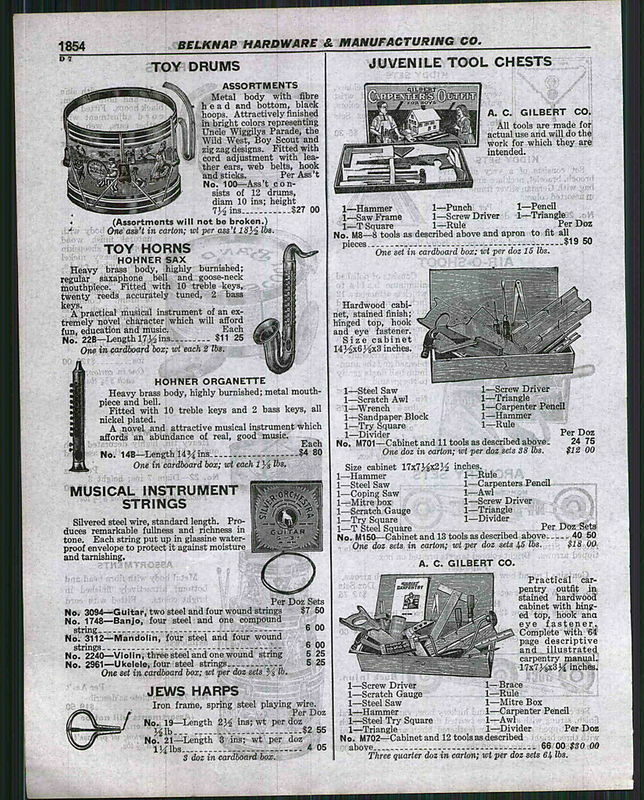 As a matter of fact, as this page from a 1929 catalogue from the Belknap Hardware & Manufacturing Co. in Louisville, Kentucky shows, the blow accordion was then already called The Hohner Sax. 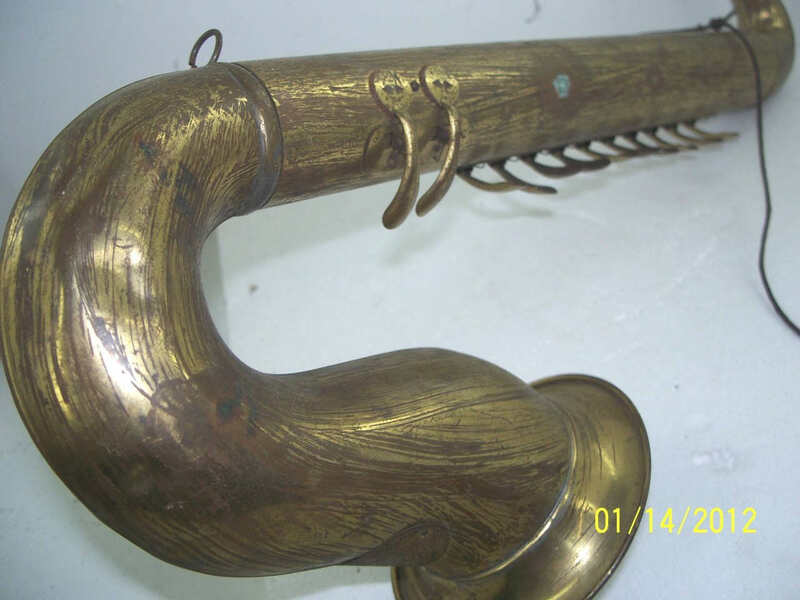 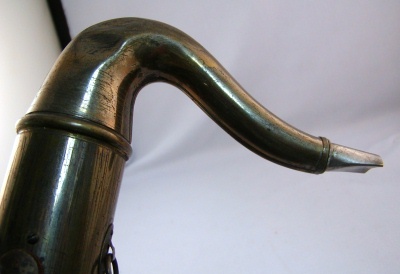 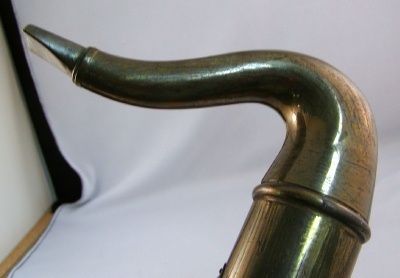 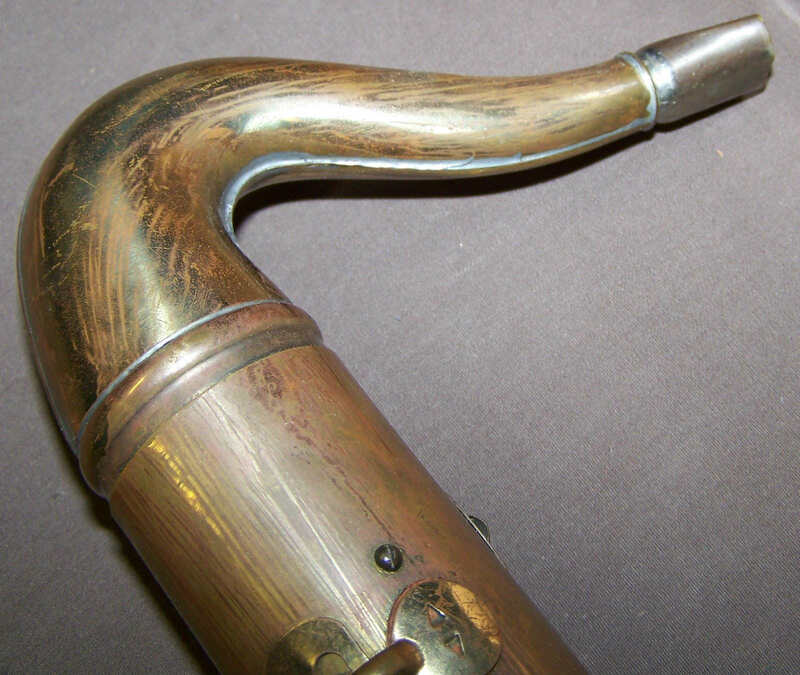 Heavy brass body, highly burnished; regular saxaphone [sic] bell and goose-neck mouthpiece. 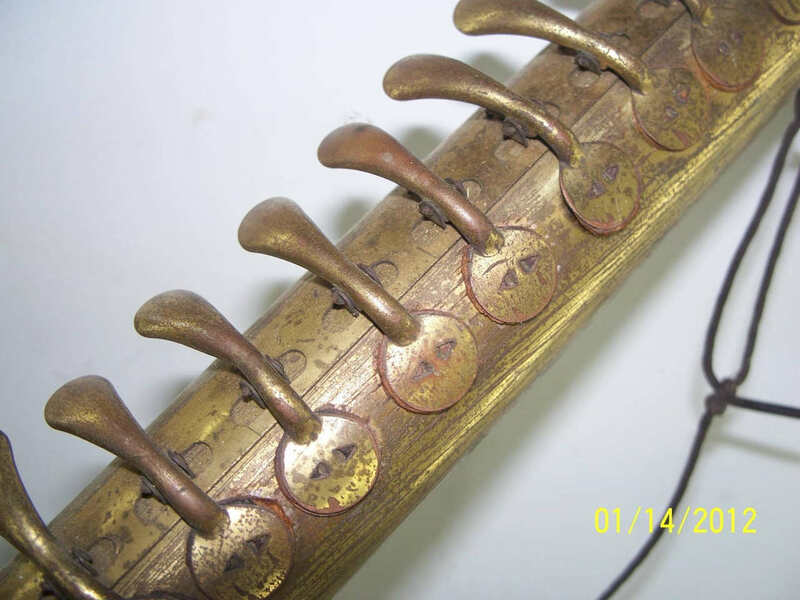 Fitted with 10 treble keys, twenty reeds accurately tuned, 2 bass keys. 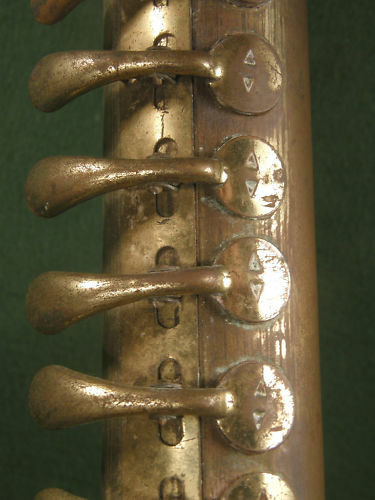 A practical musical instrument of an extremely novel character which will afford fun, education and music. 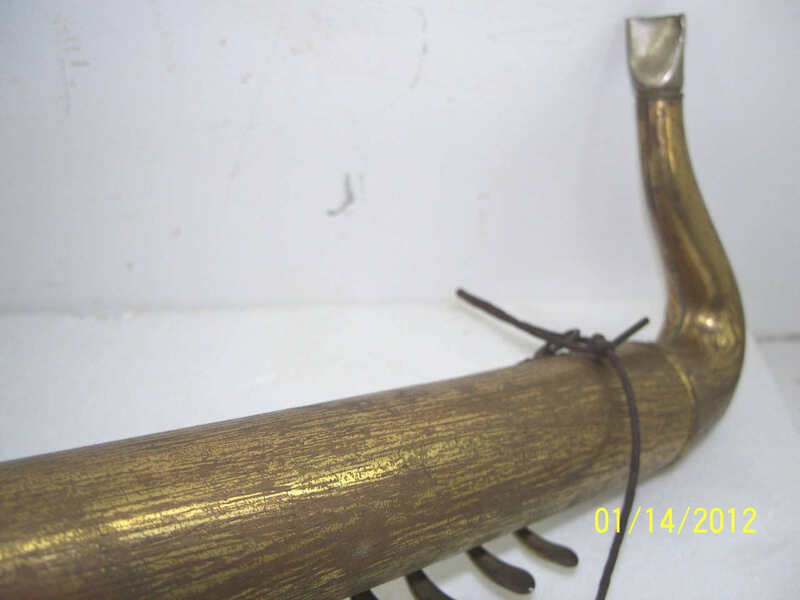 One in cardboard box; wt each 2 lbs. 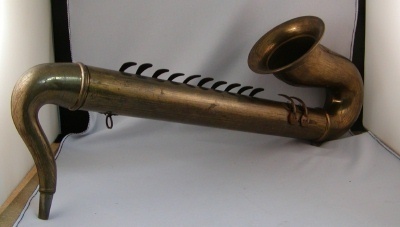 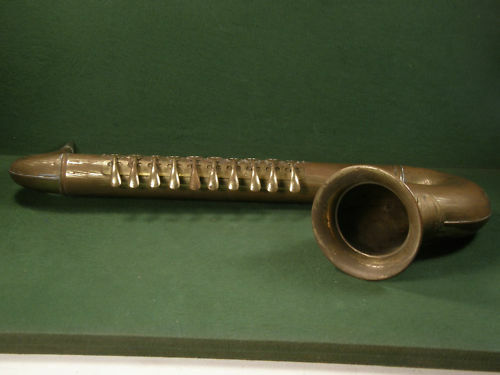 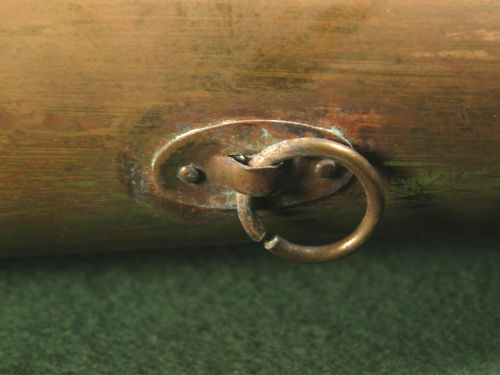 Heavy brass body, highly burnished; metal mouthpiece and bell. 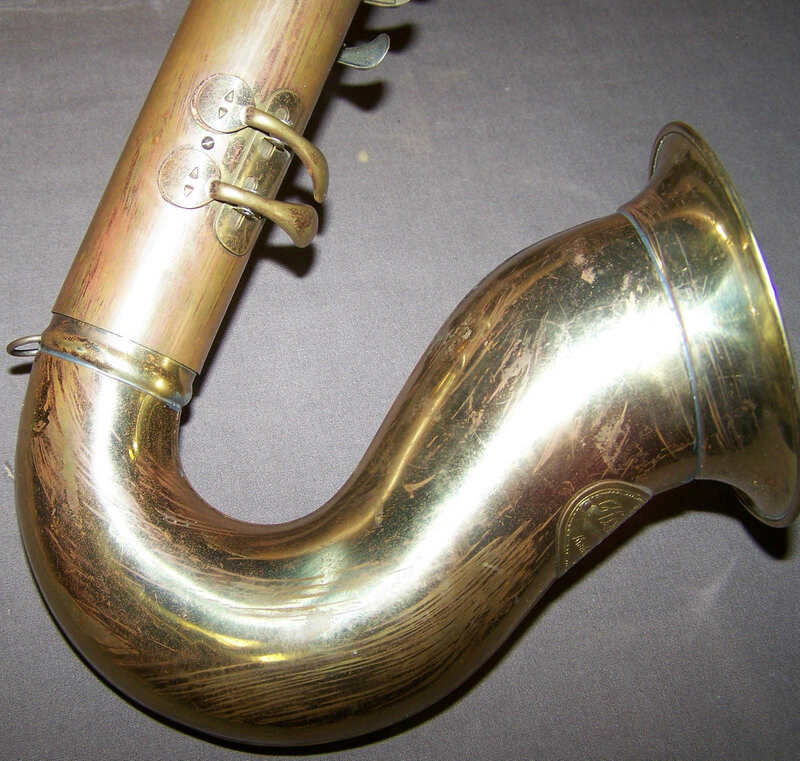 Fitted with 10 treble keys and 2 bass keys, all nickel plated. 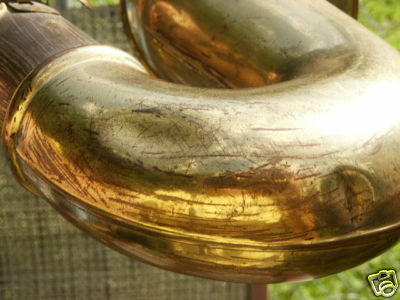 A novel and attractive musical instrument which affords and abundance of real, good music. 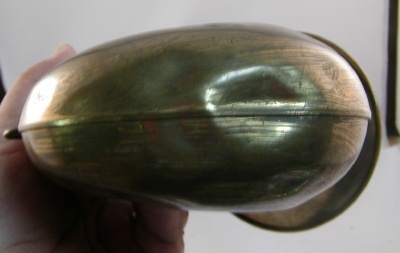 One in cardboard box; wt each 1 1/8 lbs. 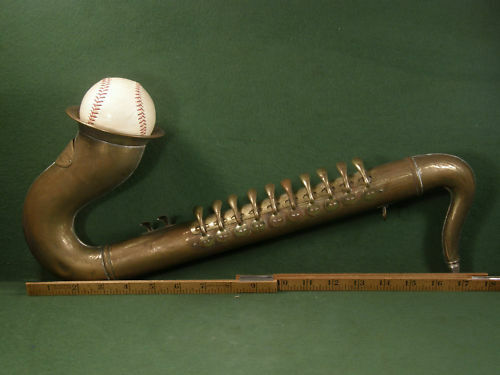 ….saxophone-shaped blow accordions were a step-up, or fancier version of the simple design that was the most common. 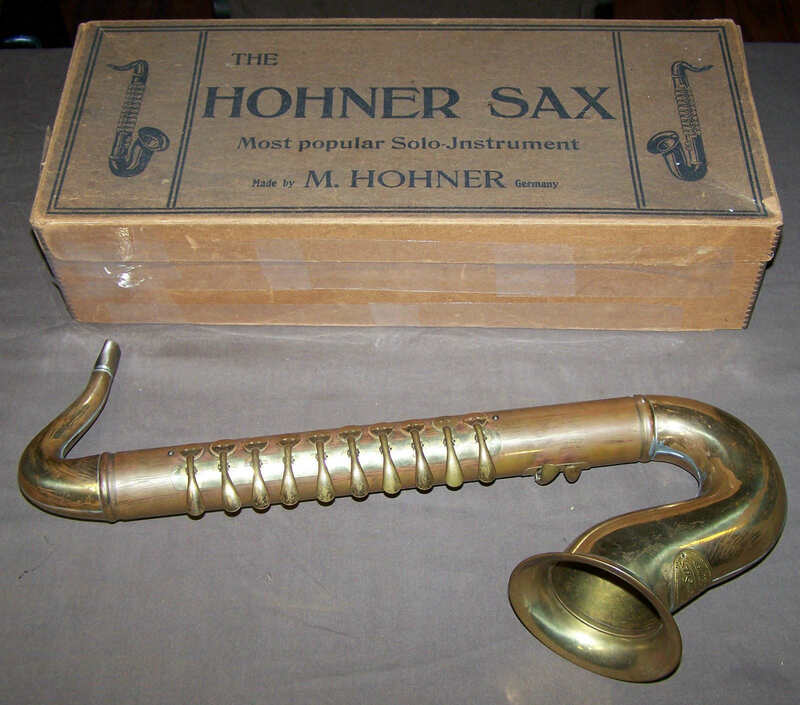 This is what The Hohner Sax actually looked like, complete with the original box. 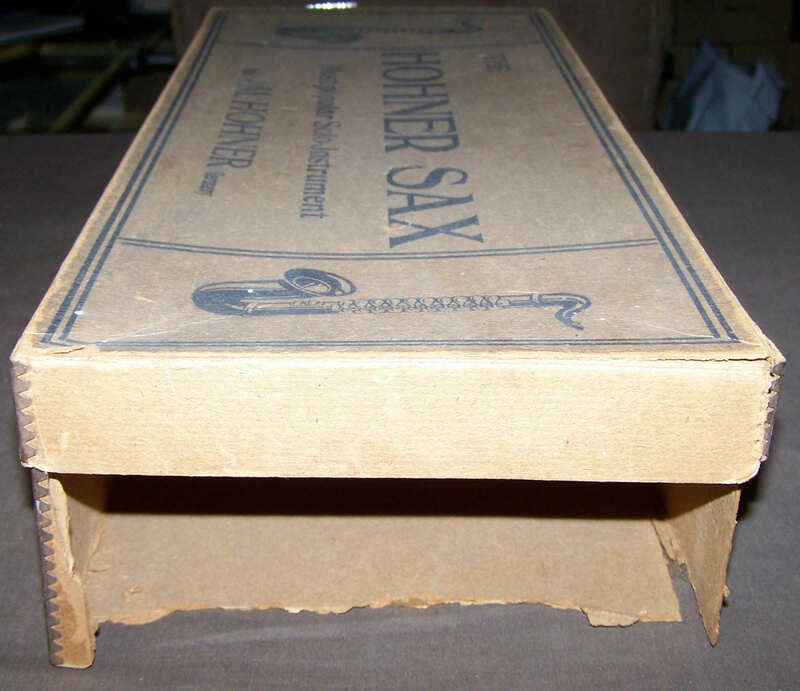 Although this one is missing its original box, it is still in pretty decent condition given its age, and that it was likely used as a child’s toy. 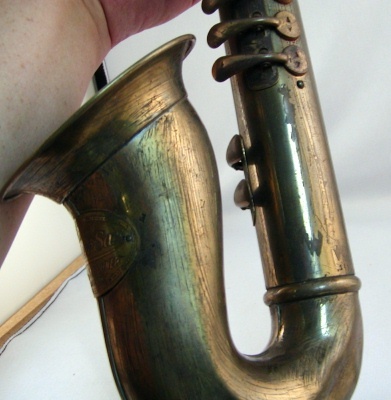 I have had the following 2 examples of The Hohner Sax on this site now for a number of years. 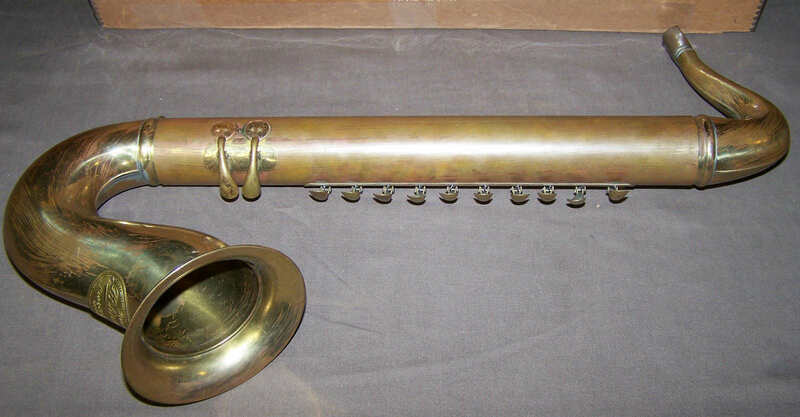 I decided to keep them both here because they were nice examples of this vintage German instrument, which was marketed as a toy—albeit an expensive one—here in North America during the early part of the 20th century. 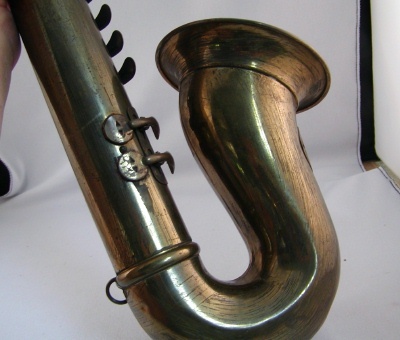 In the summer of 2010 this complete Hohner Sax popped up for auction. 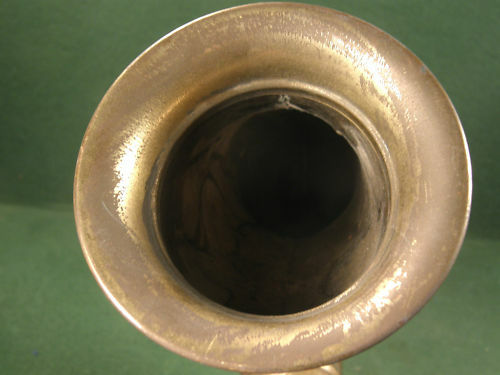 Unfortunately despite it having its mouthpiece, it had a lot of dents. 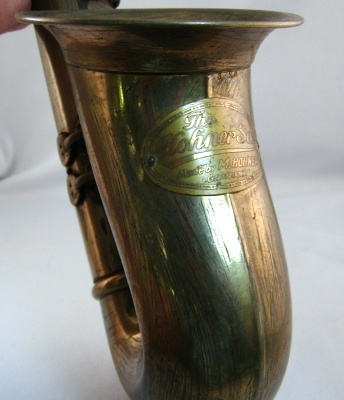 In November 2010 this lovely specimen appeared on eBay. 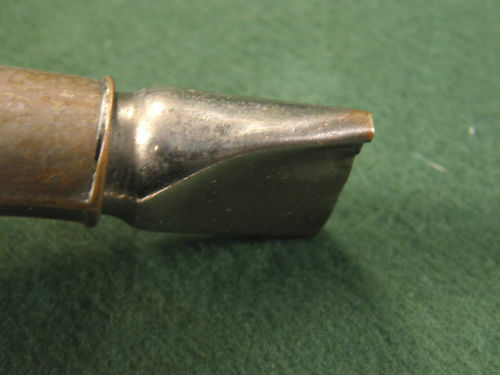 Not only did it have its mouthpiece, but it also appeared to be dent free. 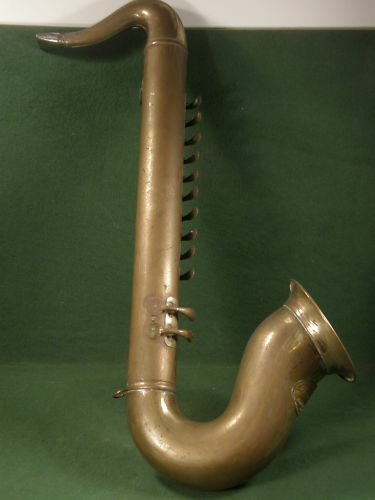 Although it looks like a saxophone, it sounds more like a harmonica. 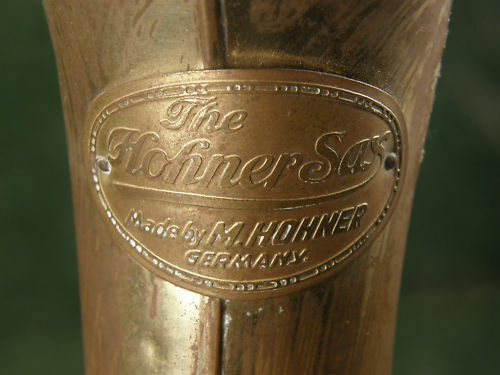 Not surprised, considering it was made by M.Hohner of Germany. 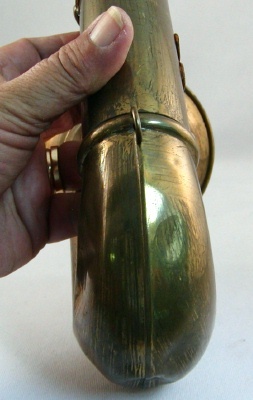 All brass construction. 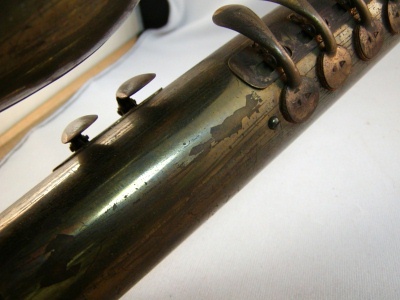 It still works!! 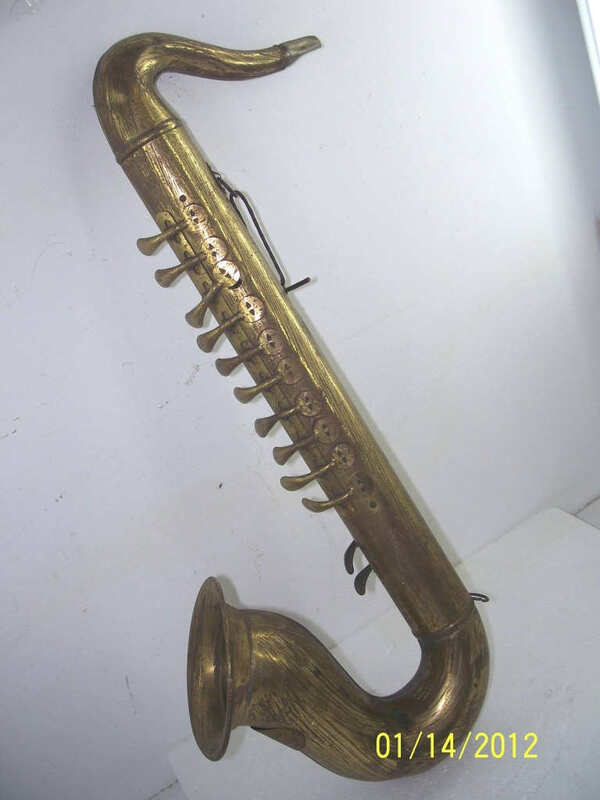 I don’t know why Hohner changed the name of their blow accordion from Saxonette to The Hohner Sax. 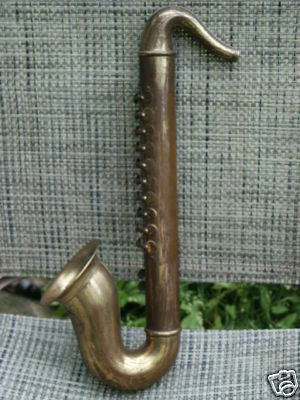 Perhaps it had something to do with these instrument called saxonettes, which are in fact related to the clarinet family. 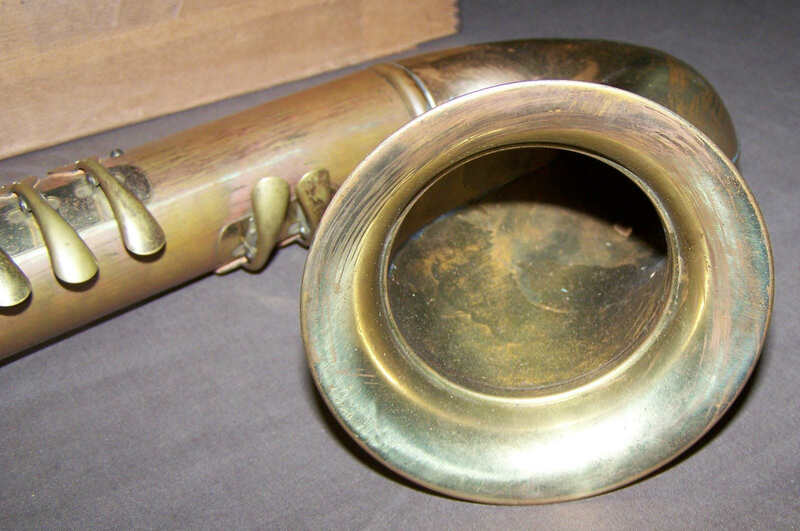 This French blog has some saxonette photos that you might find interesting. 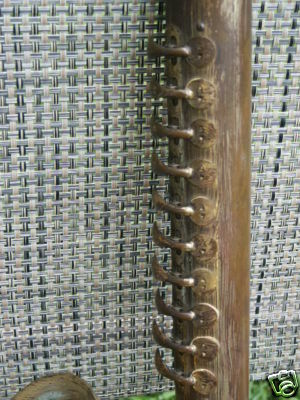 These Hohner blow accordions keep appearing on eBay so regularly now, that I don’t even bother keeping track of them any more. 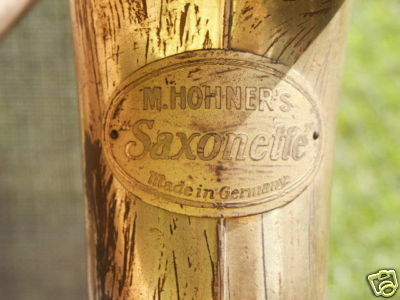 However, by far and away the name that appears on the instruments’ name badge most commonly is not Saxonette, but rather The Hohner Sax. 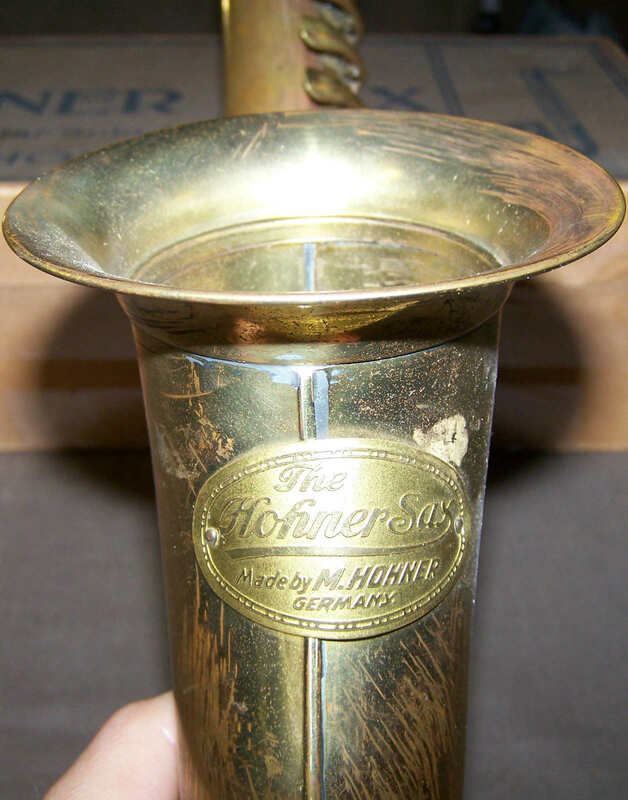 This leads me to believe that Hohner dropped the Saxonette name very early on in the production of this particular model of blow accordion.